Therefore, there were 5,761 $5 gold coins saved and 24,239 $10 gold coins saved and allowed to enter into numismatic circles. Those coins sent off to be melted included 35,341 $5 gold coins containing approximately 8,550 troy ounces pure gold and an additional 179,881 $10 gold coins containing approximately 87,036 troy ounces pure gold. 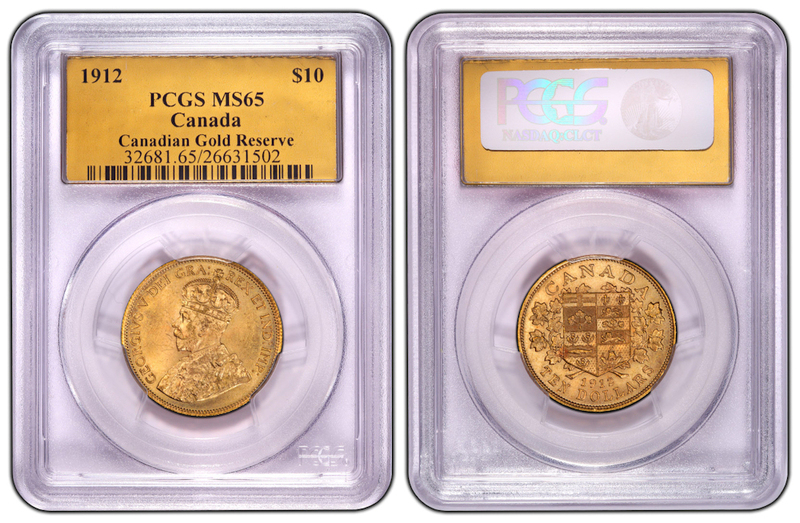 Unfortunately, the downward and sideways movement of gold in the months immediately following the announcement of the sale, coupled with the Royal Canadian Mint's unfathomable slowness in delivery of coins (upwards of four months after orders were accepted) meant that by the time of delivery many folks had cancelled their orders or were so annoyed at the process that the coins themselves left a poor taste in their mouths. This is a shame as not only are the coins wonderful examples of un-boinked gold, but the opportunity to obtain them from the source has now vanished. I understand that most coin collectors are not truly what I would define as numismatists, but there are still a fair number out there who study the history of coinage. I have saved a few of these majestic pieces to be included in my own collection and I consider them part of my gold bullion holdings to be kept alongside my favorite US gold bullion coinage; Liberty eagles and half eagles. There are also a few pieces that are left and available for clients, though I do not have them currently listed on my site. It is my belief that in the years to come there will be a greater appreciation among a broad section of numismatists for these coins and that those who missed out on the original sale will strive to obtain an example for their own collections. If I were to be wrong, it would not be the first time. After all, I also believed back in 1993 that classic US commemoratives had hit bottom and would rise shortly. Ooof!